Move over Qatar, and back off Qantas. 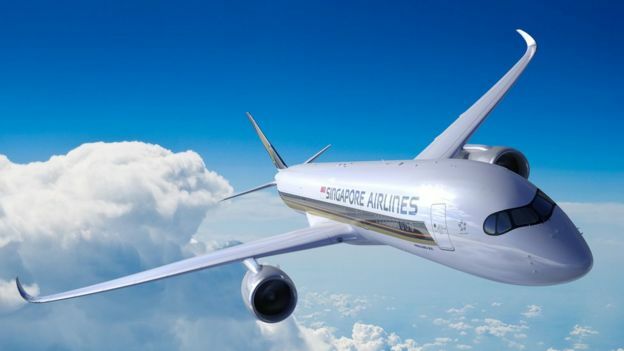 Singapore Airlines (SIA) is reclaiming the world’s longest non-stop flight. From October, passengers will be able to fly from Singapore to Newark, New Jersey – a journey that will take nearly 19 hours. The longest non-stop flight available at the moment is Qatar’s 17.5-hour Auckland to Doha route. That’s closely followed by Qantas’ 17-hour non-stop flight between Perth and London, which launched earlier this year. But reclaiming the world’s longest route is a bittersweet victory for Singapore’s national carrier. From 2004 to 2013, it offered the same non-stop service, from Singapore’s Changi airport to Newark’s international airport, which services New York City. But a rise in oil prices, among other factors, meant the fuel-guzzling plane it was using – Airbus’ A340-500 – became too expensive to run. The route was cancelled and, luckily for the airline, it was able to return the jets to Airbus. SIA is about to get its hands on a brand new Airbus model, which it hopes will make the non-stop Singapore to Newark route commercially viable again. The A350-900 ULR (ultra long range) belongs to Airbus’ family of long-range, twin-engine aircraft that have been designed to replace the older Boeing 777 series. Airbus reckons they use about 25% less fuel than the 777s did. Cathay and Singapore Airlines already operate a number of “dash-900s”, as they’re affectionately known within the industry, across a number of long-haul routes. But the A350-900 ULRs have been modified to meet the requirements for non-stop Singapore to Newark flights. “These aircraft have the longest capability of any aircraft flying today,” says Sean Lee, an Airbus spokesperson in Singapore. But there’s no economy class? No, there’s no economy. Just business class and premium economy. SIA’s new planes will seat 161, including 67 business passengers and 94 premium economy passengers. That’s compared to 253 seats across four classes on SIA’s other A350-900s. “If they had economy seats as well, it would mean more people, and more weight on board,” explains Ellis Taylor, from the online publication Flightglobal. But Mr Taylor predicts SIA will not struggle to get people on board. “There is now real customer demand, particularly from business travellers,” he says. Compared to older jets, the A350-900 ULRs have higher ceilings, larger windows and lighting designed to reduce jetlag. But if you don’t know very much about planes, you probably won’t notice much else, says Geoffrey Thomas, editor-in-chief of airline rating site Airlineratings.com. “The plane’s take-off weight has been increased to allow it to carry more fuel in its existing tank set up, that’s the biggest difference,” he explains. New technology also allows for “higher humidity settings, and lower cabin altitude settings,” he adds. 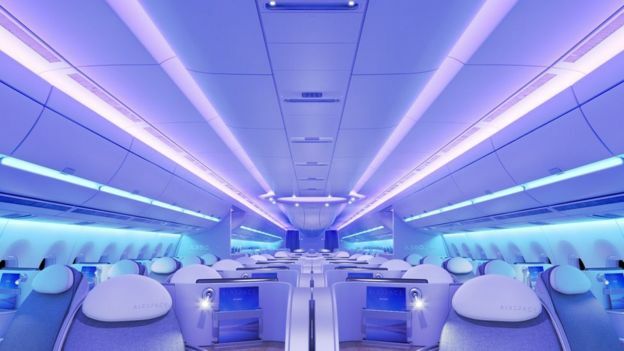 This comfort comes at a hefty price, however, with premium economy prices ranging from about 2,200 Singapore dollars ($1,649; £1,229) to more than double that for entry level business tickets. While some passengers would baulk at the idea of being above the clouds for the best part of a day, there are clearly enough who prefer to avoid stopovers, even if they’re travelling in economy. Most of the passengers on board Qantas’ inaugural 17-hour-long flight between Perth and London told the BBC they’d enjoyed the journey immensely. Qantas has told the BBC that their Perth to London route is “performing very strongly in all cabins, including regular economy seats”. Are these long flights a sign of things to come? In 2005, a Boeing aircraft flew a record-breaking 13,422 miles the “wrong way” from Hong Kong to London – that is, the longer route over the Pacific, the United States and the Atlantic Ocean. Airlineratings.com’s Geoffrey Thomas was on board, with 35 others. “It was most enjoyable,” says Mr Thomas. “I hate stopping, along with most business travellers. “There’s evidence to show that when an airline offers a non-stop flight, there is a three-fold lift of traffic on that route,” he adds. 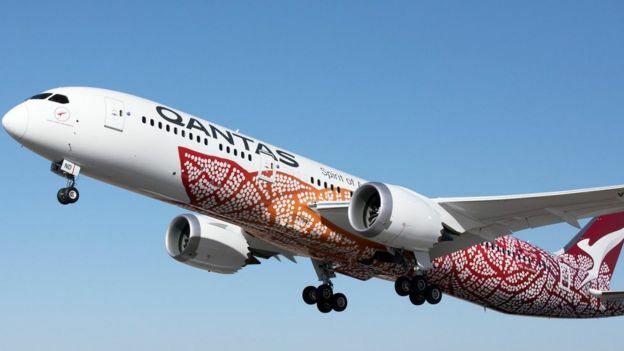 Airbus and Boeing are currently working on a project called Qantas Sunrise, which would offer Australia’s flag carrier a plane that could carry 300 passengers from Sydney to London or New York to Sydney, without stopping. The route has been described as the final frontier of aviation. Airbus is considering building under-floor sleeping pods in the cargo area of the specialised plane – a bit like the sleeping pods that are provided for flight and cabin crew on some long-haul flights. Other cargo areas may even be turned into conference rooms, or play areas for children. Meanwhile, it’s been rumoured that Air New Zealand is shopping for a plane that will carry passengers non-stop from Auckland to New York. But how far is too far when it comes to ultra long haul? “I don’t think we will see much beyond 21 hours, as that sort of flight almost covers any two worthwhile points on the globe,” says Mr Thomas. The longer the flights go, the more they are the province of business or premium economy passengers, because of the comfort levels required, he added.